Tailor-made for every field of application. 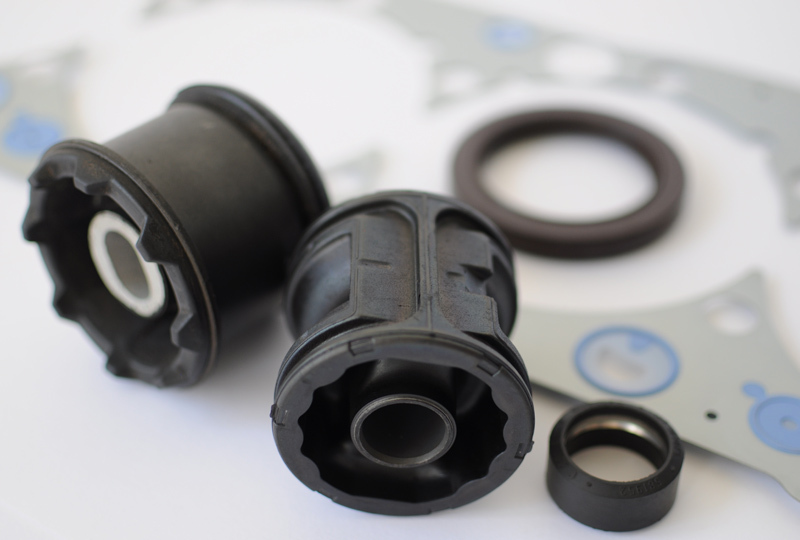 DESMA machines produce rubber and silicone moulded parts which reliably seal up, dampen, connect, fix, insulate or protect. We specialize in products for industrial applications, automotive, transportation industries, light rail, household appliances and medical applications. DESMA moulded articles are of the highest quality in the industry with processes that yield profitably to our customers. Successful in every trade. Seven decades of extensive experience in mechanical and mould engineering as well as the thorough competence of DESMA in every line of business allow for safe and efficient production of elastomer products. Together with the customer, DESMA develops and realizes turnkey systems which suit the respective field of application – and open up every opportunity for success in the market for the customer. Until 2013 the worldwide production of automobiles will expand by 30 %. The manufacturers focus on more efficient motors, more driving comfort and new drive technologies. DESMA provides system solutions for resource conservation and lays the foundation for more efficient internal combustion engines. DESMA further provides an important input for new drive technologies (e. g. electric motors) with innovative manufacturing techniques for the production of rubber and silicone moulded articles. The increasing driving comfort requires more elastomer articles in the future. The conservation of resources is playing an increasingly essential role in this context. 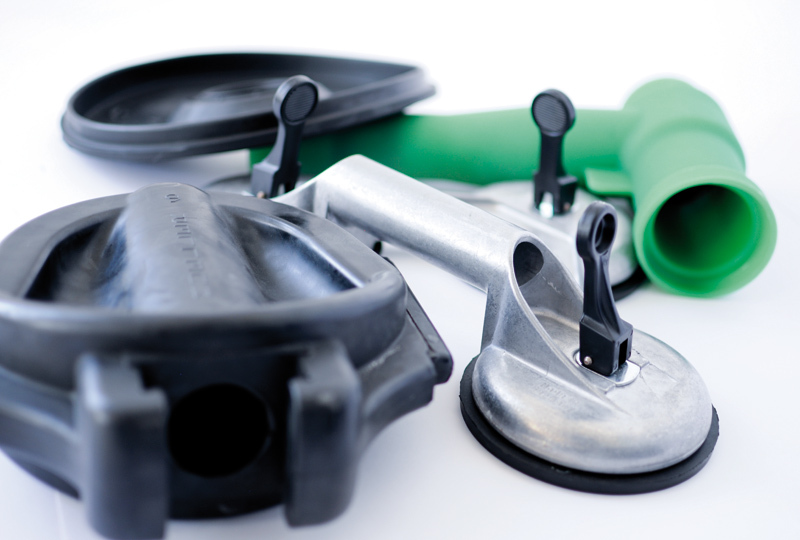 DESMA therefore develops production methods that enable the automotive suppliers to produce rubber and silicone moulded parts in a resource-friendly way. Together with the automotive suppliers DESMA develops new production methods, e. g. for high-temperature resistant motor gaskets. This ensures a higher efficiency of the drives with same piston displacement. With DESMA injection moulding machines, the automotive components suppliers manufacture sealing elements for the car body, decoupling elements e.g. for chassis and motor and a variety of seals, bellows, hoses for the total automotive engineering. Summary: Higher speed, higher efficiency and higher driving comfort become possible with production methods of DESMA. New energy sources and new power grids of more than 100,000 km globally require efficient production solutions. DESMA has already developed and implemented jointly with renowned customers a variety of new production processes for the increasing demand for energy, smaller power losses and maintenance-free insulating systems. 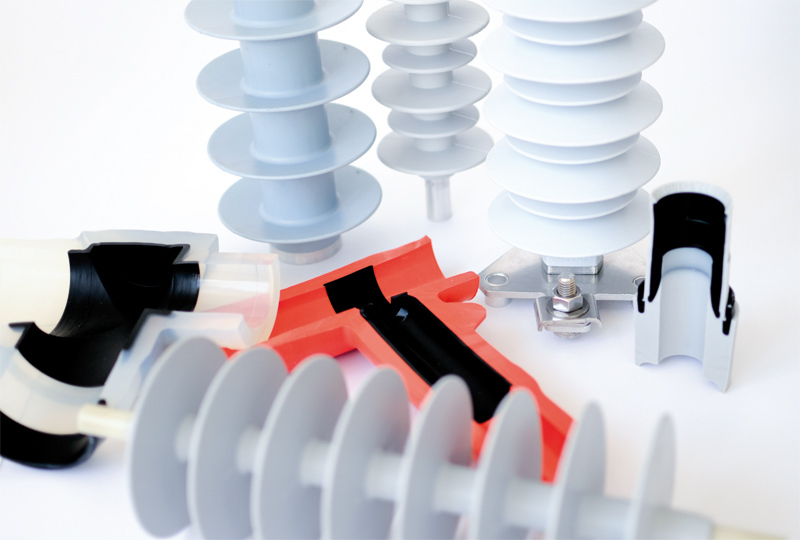 Customers from the energy industry produce rod insulators for low, medium and high-voltage grids (long-distance lines), cable sleeves and cable connectors on the injection moulding machines and turnkey production systems of DESMA. The traffic and water infrastructure grow analogously to the world population. Higher speed, shorter construction periods and alonger service life are crucial in the future. DESMA offers state-of-the-art technology to its customers, e.g . for the production of pipe seals for water pipes or supports for the construction of railroad tracks. New economic regions, an increasing demand and the more efficient development of resources are only three main topics when it comes to the future production of raw materials. In this field DESMA develops new and above all resource-friendly production solutions for the rubber and silicone industry. Elastomer articles produced on DESMA moulding machines enable the environmentally friendly development of raw materials and energy sources. The DESMA system solutions are used for the production of rubber and silicone moulded parts such as stators for oil explorations, pump stators for resource mining, for oil drilling or strainer systems for the mining industry. A steadily growing world population with an ever-increasing life expectancy calls for an efficient health care. By using DESMA manufacturing systems, the medical technology can rely on top quality and productivity. An efficient assembly, a safe sealing function and a robust handling are required in the market of white goods. With turnkey packages DESMA makes a productive contribution in this field as well. White goods have to be safe and user friendly. E.g. washing machine gaskets and bellows are therefore produced on DESMA injection moulding machines by conserving resources. Excellent know-how combined with a high quality demand on our products provide the basis for our success as a supplier of turnkey systems for the production of elastomer articles.